Today Sayeeda began a regional tour of Scotland. Starting the day in Edinburgh, she visited the Scottish Parliament with David McLetchie MSP before moving on to visit Nairn’s Oatcakes with Gavin Brown MSP, during which she was generously hosted by Managing Director Mark Laing. Mark and Gavin kindly undertook a a tour of the business to show Sayeeda how such a traditional Scottish favourite is produced. 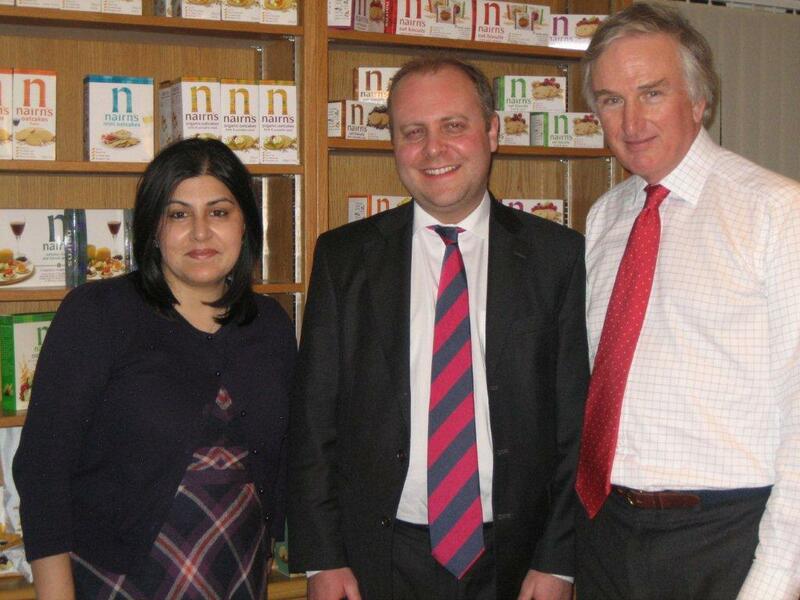 After her time in Edinburgh Sayeeda moved on to Glasgow to speak at a reception for Conservative Candidates on the Glasgow regional list 2011.